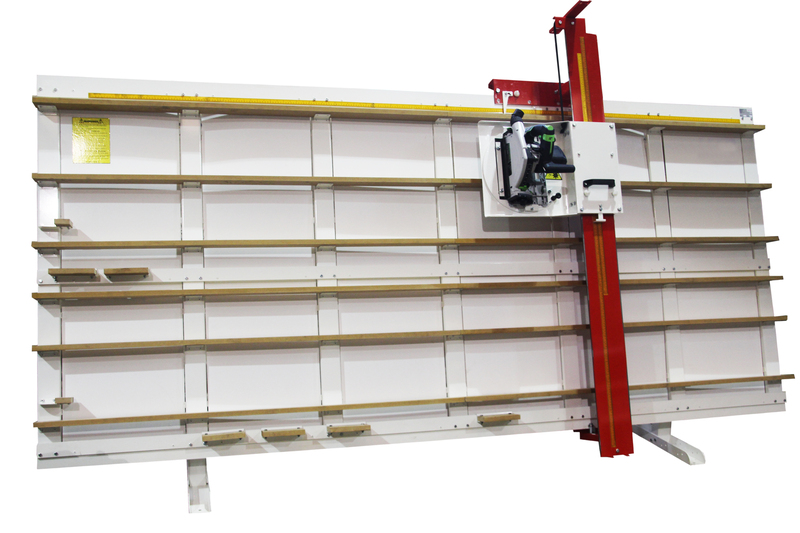 The ZK compact, portable vertical sheet cutting systems. Light, strong and rigid, ZK saws deploy and stow in seconds, their tripod leg system ensuring stability and repetitive accuracy. Highly compact, the ZM moving column vertical panel saw, with FESTOOL TS55 SAW, has an all steel frame, precision bearings and a high quality plunging saw head. 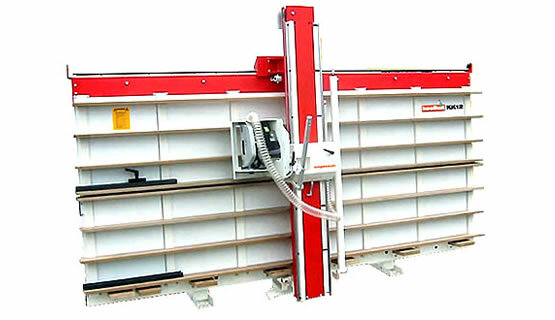 The robustly built Koolkut KF vertical panel saws come equipped with quick-stops for rapid, precise dimensioning, mid height supports and plunge and bevel cutting capability to 30°. 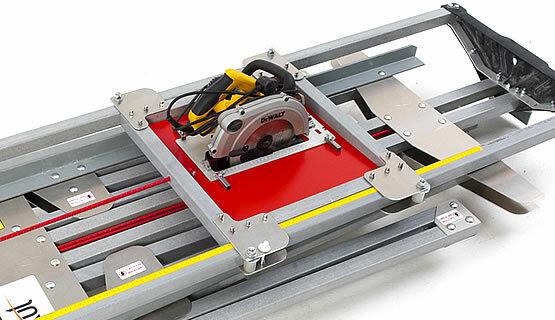 The Koolkut range of Vertical Panel Saws is designed for high use. High precision linear guides combined with one of the most robust frames in the world market, have gained a track record for reliability and long term accuracy. 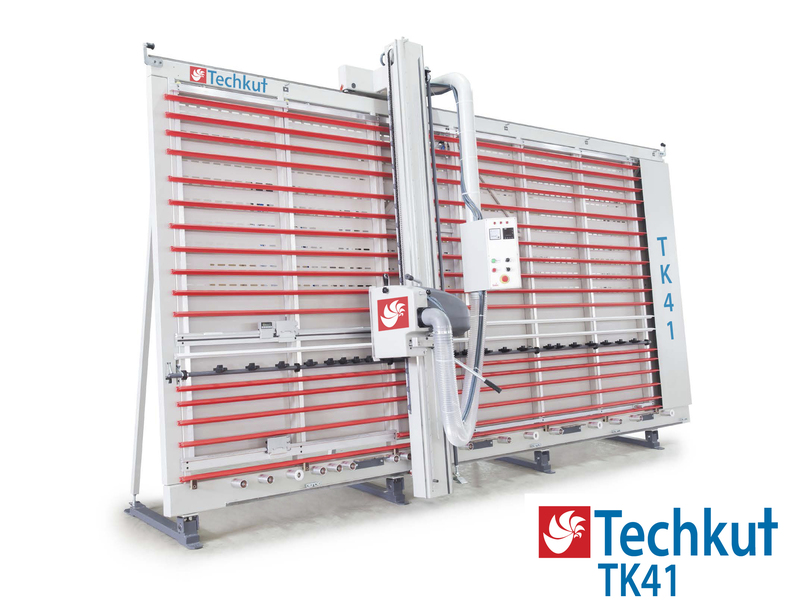 The Brand New Techkut Range of Vertical Panel Saw are designed for industrial use. Features a double blade system, scoring & cutting. Heavy duty industrial rollers for loading material. Digital readout for the most accurate and reliable cutting ever! Sizes from 8ft x 4ft to 5m x 2m.